The Curriculum Lab is on the 3rd (main) floor of the Library to the left of the pillar. 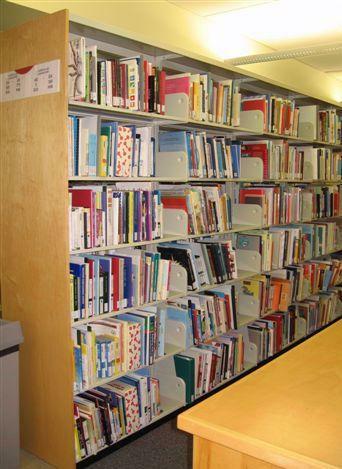 There are five main areas: Oversize, Periodicals, Reference, Stacks and French Language resources. There is a sixth minor area in the Curric Lab stacks devoted to the British Columbia Teacher's Federation Lesson AIds. All the materials in the Lab can be borrowed. 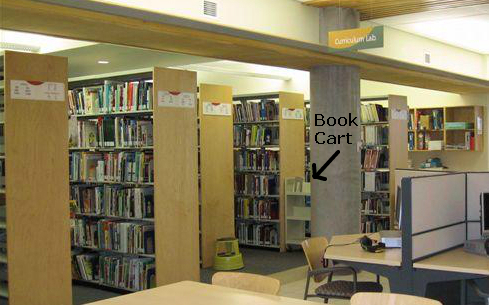 Notice the shelving cart next to the pillar where materials can sometimes be found if not on the shelf. We ask that users not try to reshelve anything they might take off the shelf. This is the Oversize cabinet area for items such as art posters, maps, big books (including big books in French), math manipulatives, musical instruments, games, kits about other countries and more. Anything with "Oversize"in the call number lives here. Items are arranged by call number starting on the uppermost left side shelf. 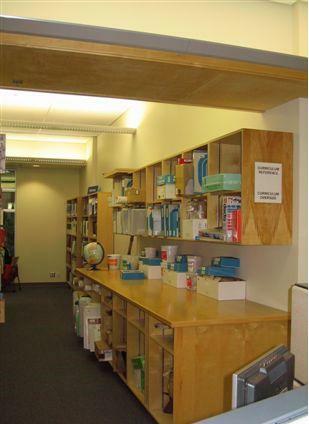 Here is another view of the Oversize cabinet area with the Curriculum Lab Reference area and study tables beyond. The Reference items include subject encyclopedias, Best Books for Children (Barr), and many other useful texts all of which can be borrowed as regular Curriculum Lab items. 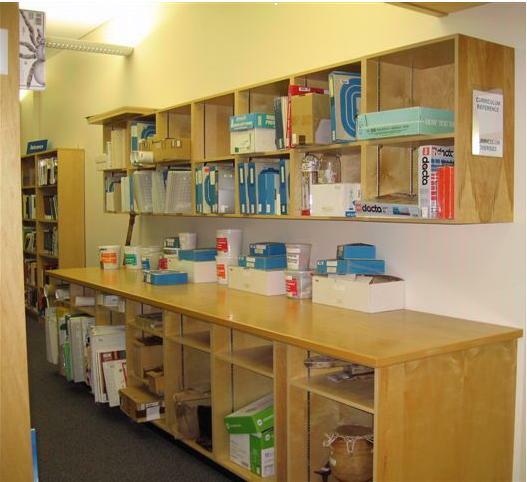 The Reference materials will be moved to the main Curriculum Lab stacks soon. Please note that the Math Makes Sense series is kept on Library Reserve (ask at the Service Desk) for in-library use only. There is also a copy of Best Books for Children on Reserve (at Service Desk). 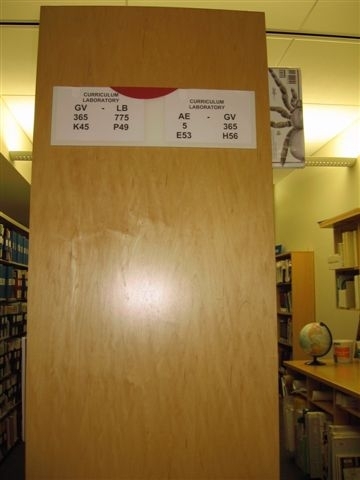 This first bookstack shows the Library of Congress Classification system call number range for the items on these shelves which are arranged first by subject content, rather than by title or author or medium. Library of Congress call numbers (the label on the spine of most items) begin with letters denoting the main subject area and sub-categories within that subject. Most school libraries and public libraries use Dewey classification where the subject areas are organized by particular numbers, hence the call numbers appearing on the spine labels begin with numbers, rather than letters as in the Curriculum Lab case and throughout the Library. These are the Curriculum Lab Stacks. Books, DVDs and CDs are interfiled and all have the same loan period. Extended loans are available to students on Practicum - see the "Extended Loans" tab in this libguide. Similar subject content is given priority over format, which means that materials on the same topic are shelved together. 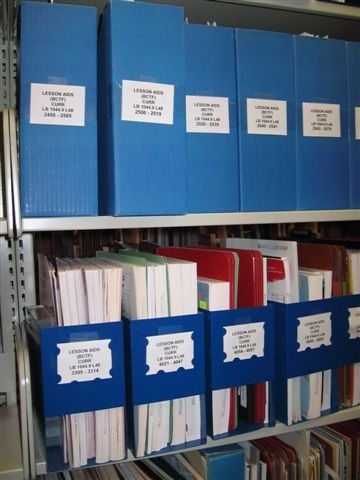 This is the collection of Lesson Aids from the British Columbia Teachers' Federation (BCTF) which are integrated in the Curiculum Lab stacks under Call number LB 1044.9 L 48. . New items are no longer being published or collected, but there is still helpful material here. See how to search lesson aids under the "Get Started:Using Online Catalogue for Curric Lab" tab in this libguide. 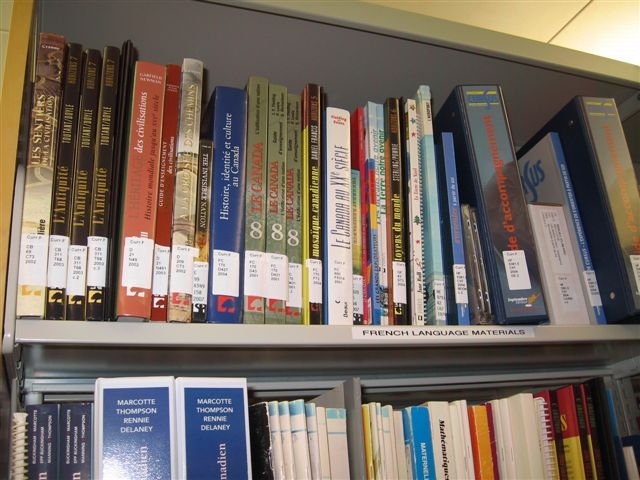 The more than 350 French materials have been gathered in one place at the end of the Curriculum Lab stacks to make them easy to find. To find the items in the catalogue, go to either the LibrarySearch box on the main library page, or the Curriculum Lab search box in the catalogue and type the following (be sure to keep the quotation marks): "Curriculum Lab French materials" . There are some French "big books" and posters in the Oversize cabinet. 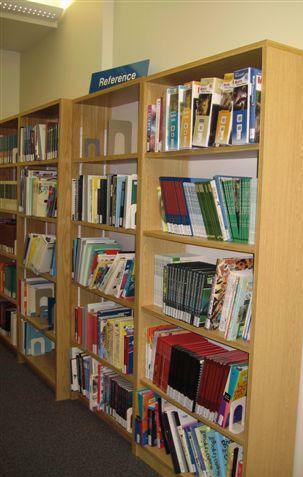 Although there are only a half-dozen or so titles that we currently receive and keep in the Lab, there are additional Education journals interfiled with books in the main stacks on the 4th floor. search databases via the LibrarySearch tool or check for journal titles or Education databases on the Library's homepage.